If your roots lie in racing, you adopt a simple philosophy: Push and drive until you reach the finish – in winning position. Here, you can read everything about STEVENS. Find out what we think, where we came from and what we did so far. The brand STEVENS is established. One part of the business is the wholesale of premium-brands (e.g. 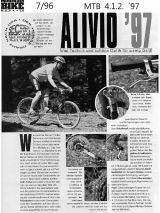 Merlin Titan, Ritchey, Shimano, Campagnolo, and many more). 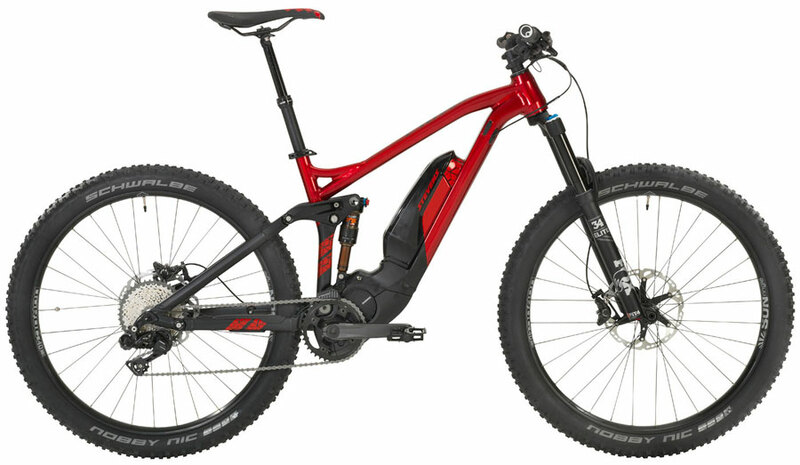 The other part of the business is very future-orientated: STEVENS MTBs and trekking bikes are launched. 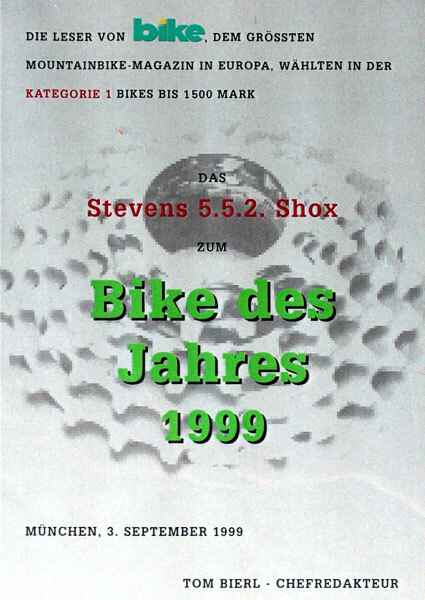 The first collection of STEVENS bikes is shown on the very first Eurobike (the most important bike fair). Engineering the first full carbon race- and MTB-frames. "Black Edition" - the first STEVENS MTB range in pure black. Highlight: "Alu Comp XT." The year of being „pretty in pink“. The pink squad a.k.a. the Merlin-STEVENS Race Team. 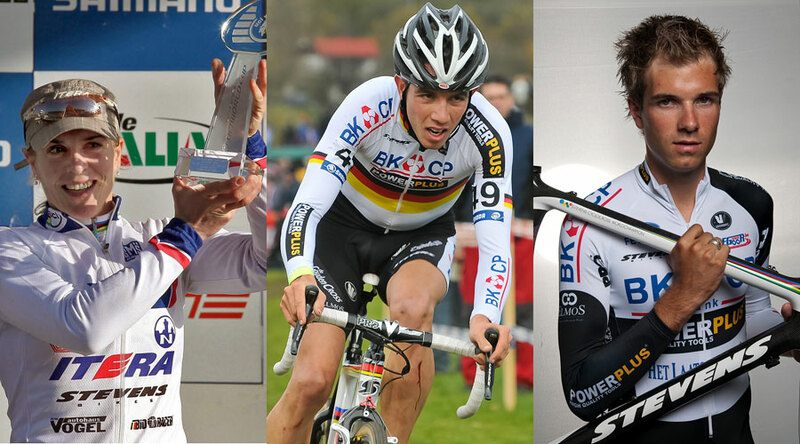 Fast and successful in the MTB and Cyclocross-world. We deliver the 10.000th STEVENS bike. Now we sell to 4 Countries with the help of more than 1,000 retailers, thereof 44 STEVENS bases. Launching the "STEVENS Vertriebs GmbH"
The Police of Lower Saxony - and later on also patrols in Hamburg and Canada - are equipped with fast STEVENS MTB's. 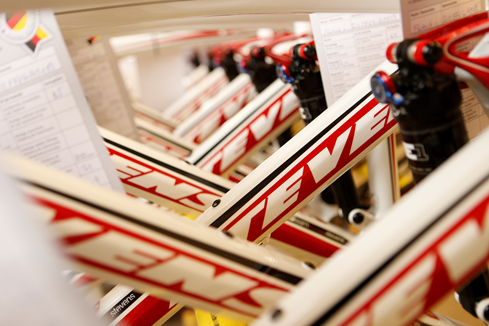 Engineering and producing high quality STEVENS race bikes. Here you see the first racer with alloy-frame, named RPR 1. Classical steel-frames are exclusively manufactured in Italy. 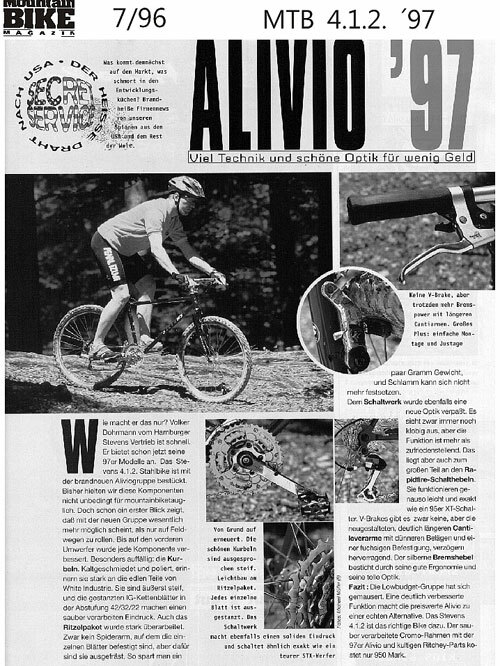 Introduction of the first STEVENS Suspension bike: MTB 9.5.2. A Star is born. 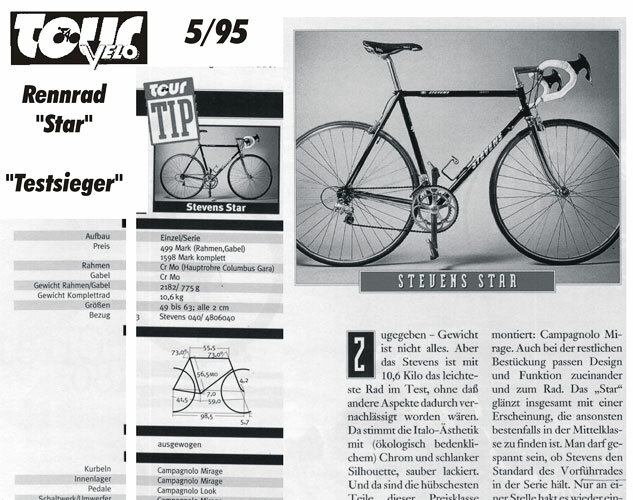 Racebike STEVENS Star - the first ever STEVENS Racebike – becomes test winner in magazine “Tour” comparison test. 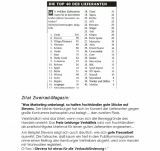 In the poll of the „Zweirad-Magazin“, we were voted on the second place. Magazine tests praise the STEVENS MTBs 7.1.2. and 8.1.2. as "Honcho bike of the test" und "Hot Bike and Best deal". The early bird catches the worm - and all attention. No one ever launched the mid-season-models like our STEVENS 4.1.2. STEVENS becomes the main-sponsor of a pro-team, the "Team Cologne". The pro-riders Andreas Kappes and Sascha Henrix experience velocity on their STEVENS bikes. 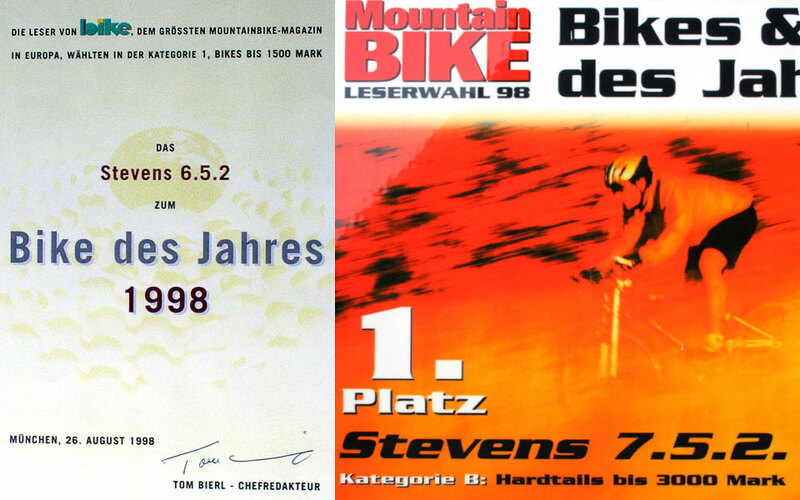 The magazine „Mountain BIKE“ voted the STEVENS MTB 6.5.2. as the “Mountainbike of the year”. The year of two “best bikes”. Our company grew, so we had to move into another buidling. To have enough space for our employees and for our bikes. In the eastern part of Hamburg, we found the perfect place. 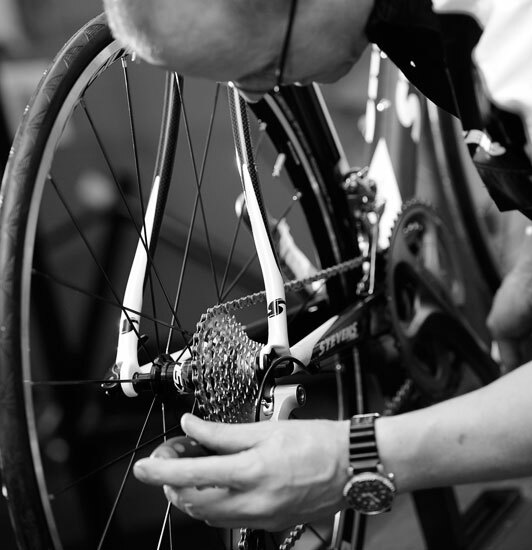 STEVENS bikes are assembled in Germany by maximum qualified mechanics. 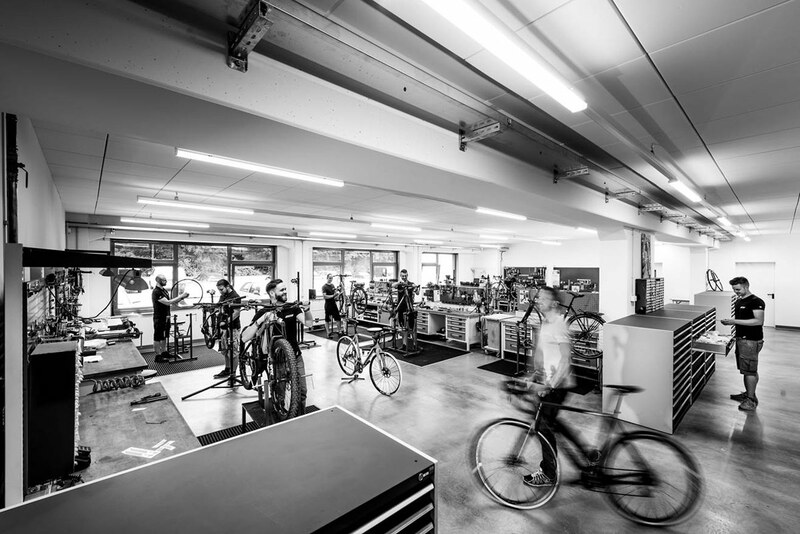 We simply want the best for our bikes – and our clients. The year of losing weight. 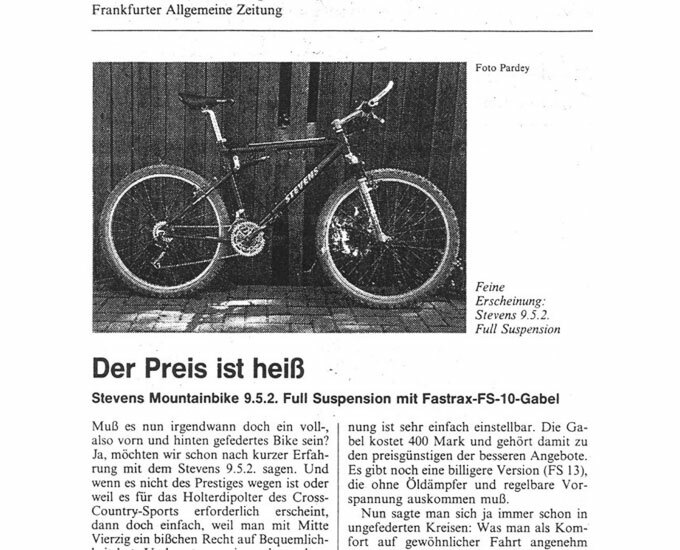 Introduction of the new STEVENS F9 Suspension model. 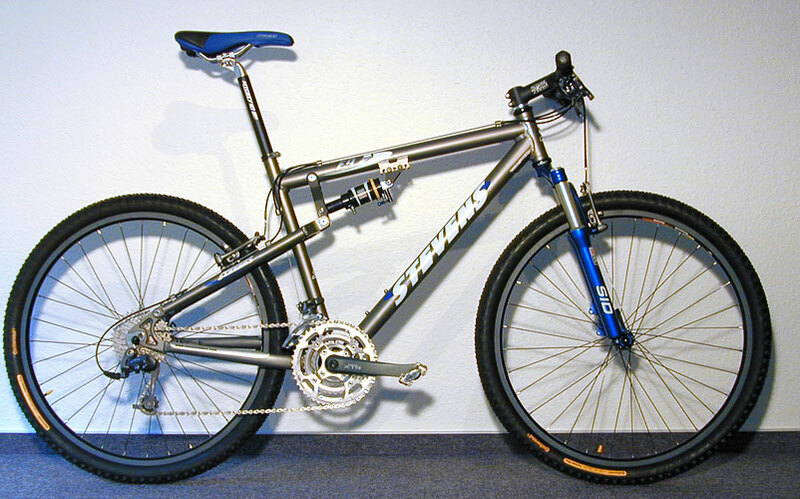 One of the lightest Bikes in its category at the IFMA show 2000. Supporting pro-triathlete Ralf Eggert with the STEVENS Izoard Pro Aero-machine. Very successful – he finished 17th in Hawaii, became 4th at the Roth-challenge. "STEVENS - the Hero". 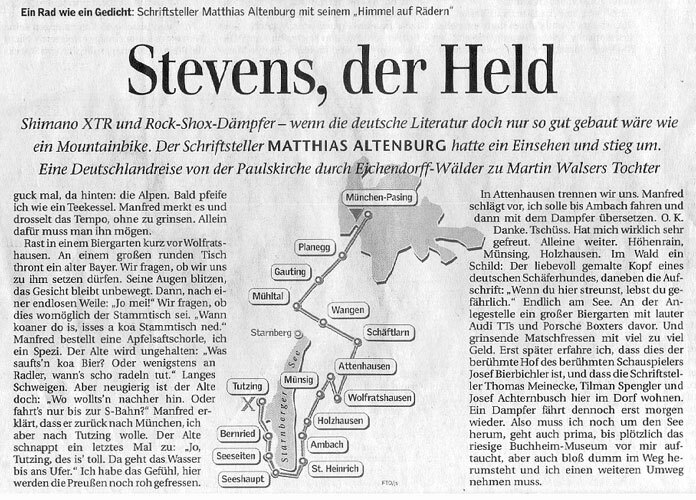 Author Matthias Altenburg writes about his favourite bike - the STEVENS F9 - he has a lot to tell about it, so the article appears on a full page in the Financial Times. 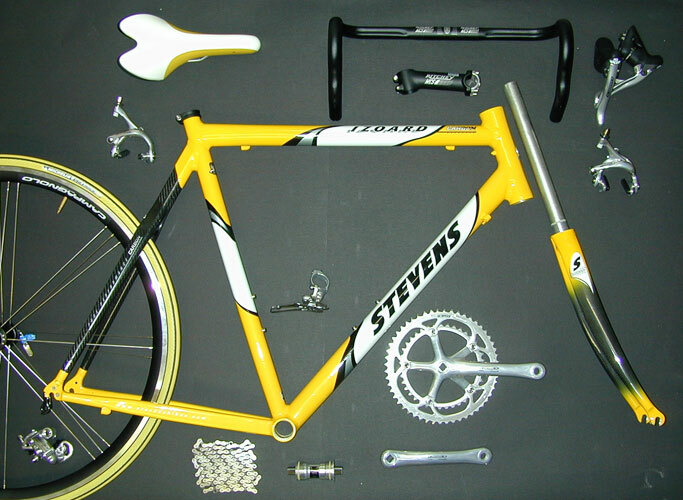 From now on, STEVENS bikes appear more and more in articles and books of this author. Launching the road custom programme. It is the biggest kit of the bike-scene. 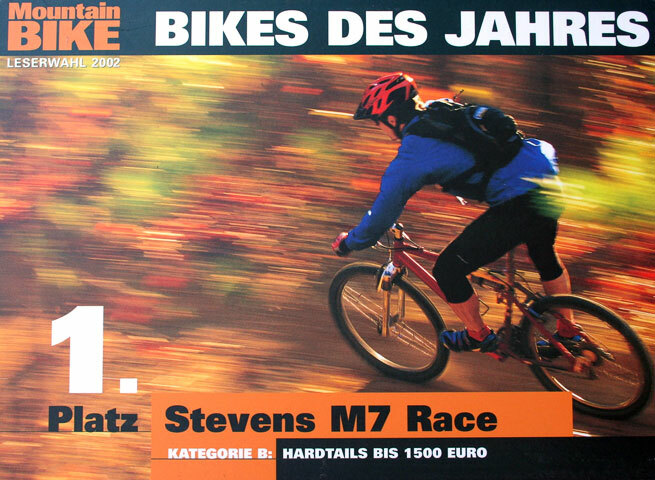 It's a distinct conclusion: Readers of the Mag “Mountain Bike” voted the STEVENS M7 Race as “Bike of the year”. But the M6 and the F9 were not bad too. They rank third. The year of a lost bet that brings success. 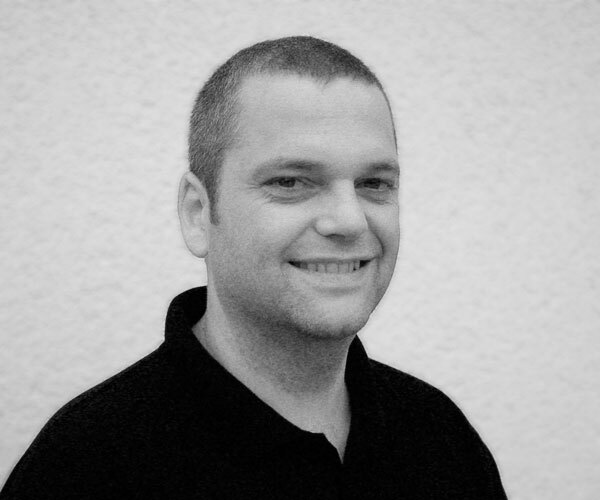 Jens Schwedler has given up his biker-career. 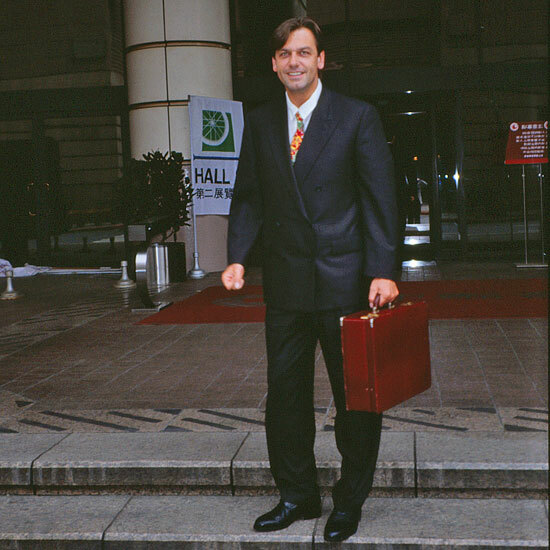 But one day, he called Volker Dohrmann, the STEVENS brand-manager. Jens said that he wanted to start at the German championships. Volker made a bet out of that. „Jens, if you will be under the top 3, STEVENS will produce cyclocross-bikes“. 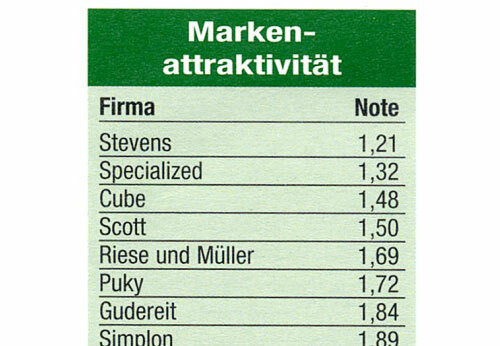 Jens has won the race, and STEVENS has won the market-leadership. This story is true. Really. Cyclocross Worldchampion Daphny van den Brand gave us an autograph – she signed a contract as a STEVENS rider. Andreas Raelert, Germanys top-triathlet, reaches rank 6 at the Olympic Games in Athens. He was riding the STEVENS Vuelta (in the Athens-signature-design). 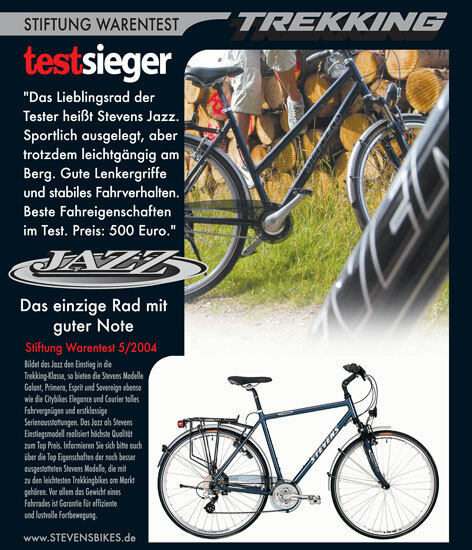 The STEVENS Jazz Trekking Bike wins the prestigeous “Stiftung Warentest” yearly bike test. For us, it´s as much worth as an Olympic gold medal and the world-chamipionships. 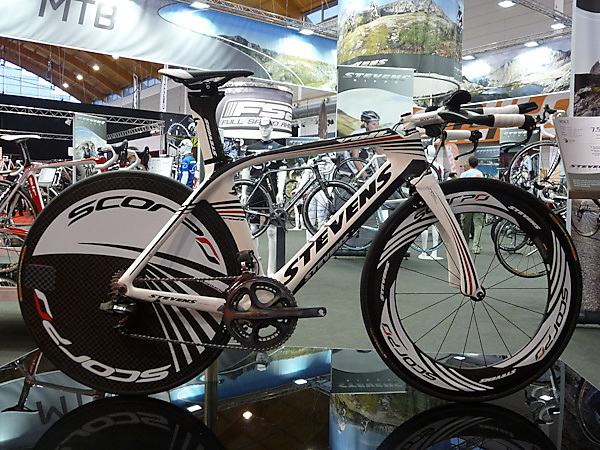 More and more professional athletes (pro-riders, triathletes and race-teams) ride on our STEVENS “time trial” bike. 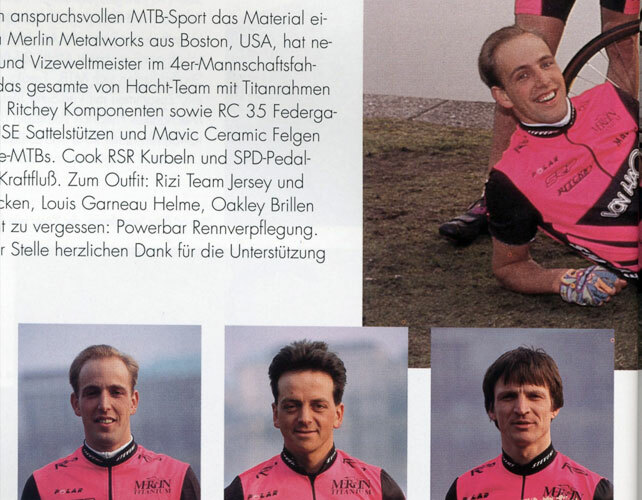 Reaching for the top and therefore founding the STEVENS cyclocross pro team with 4 national champions. 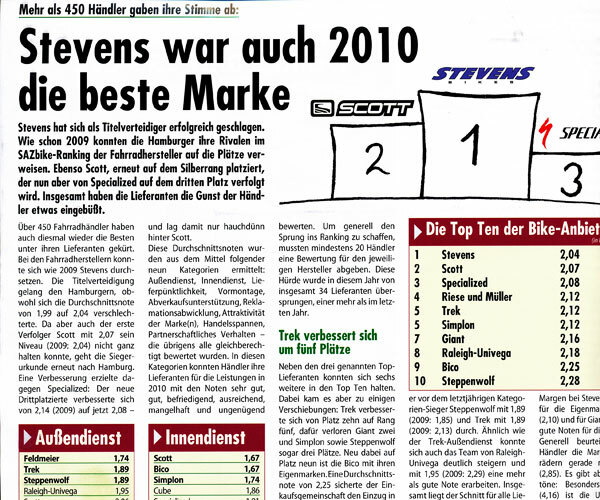 STEVENS is voted as the "most attractive bike brand in Germany". Presentation of a new series of full suspension bikes: Thomas Kamm develops STEVENS Fluent and Glide models. The bike-scene loves these models. 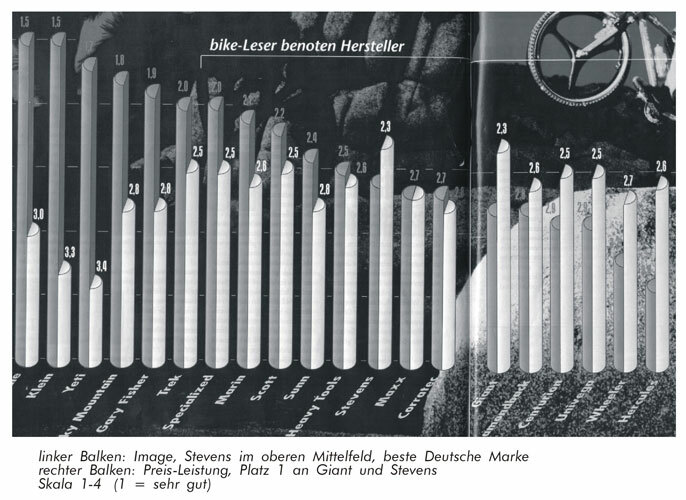 STEVENS is voted as the "most attractive bike brand in Germany". Again. Daniel Unger and Lisa Norden become triathlon world champions. They ride STEVENS bikes. Lisa rides the STEVENS SCF1, Daniel Unger rides the STEVENS SLC Team. 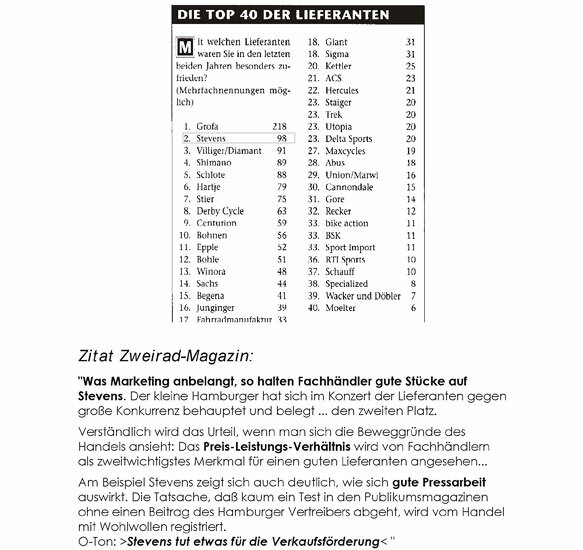 STEVENS is voted as the "most attractive bike brand in Germany". Three times in a row. WOW! 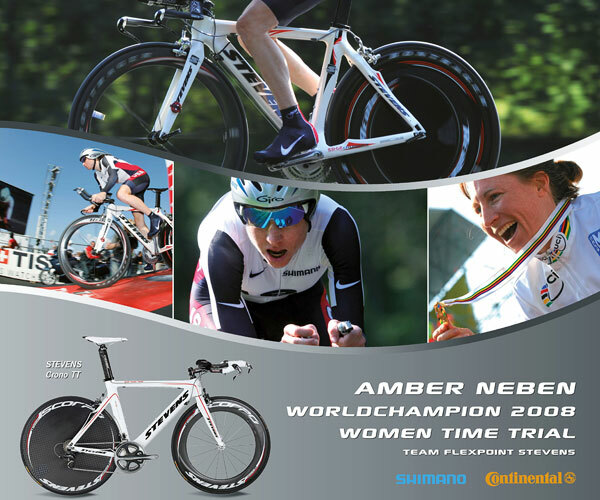 Amber Neben (USA) wins the worldchampionship in time trial on her STEVENS Crono TT. 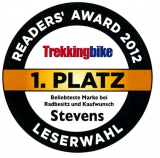 STEVENS is voted as the "most attractive bike brand" - reader survey magazine "Trekking Bike". This is very important for us, because we put our heart and our soul in our trekking bikes. Introducing the windtunnel-tested time trial machine STEVENS Volt. Highly engineered, optimized aerodynamics, and fully integrated design. The Volt is made for success. Shown on the EUROBIKE. 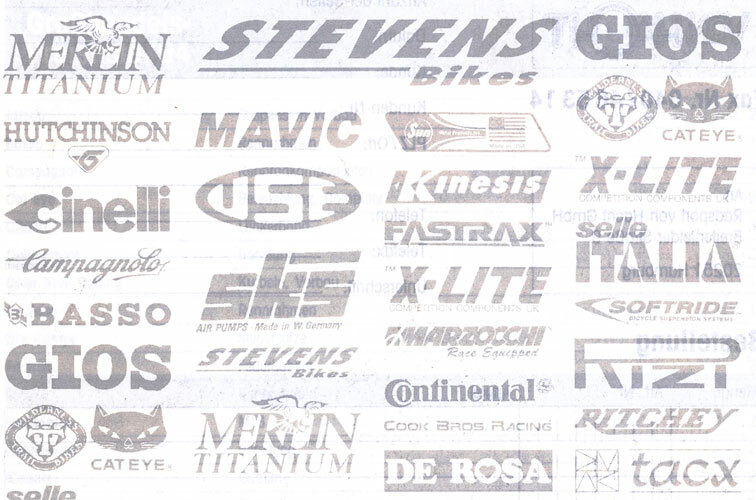 STEVENS is the most successful brand at the cyclocross world championships. Niels Albert and Philipp Walsleben become world champions. And Hanka Kupfernagel, the „Grande Dame of cycling“ (8 times world chamipon, 33 national titles), gets the cyclocross world cup. 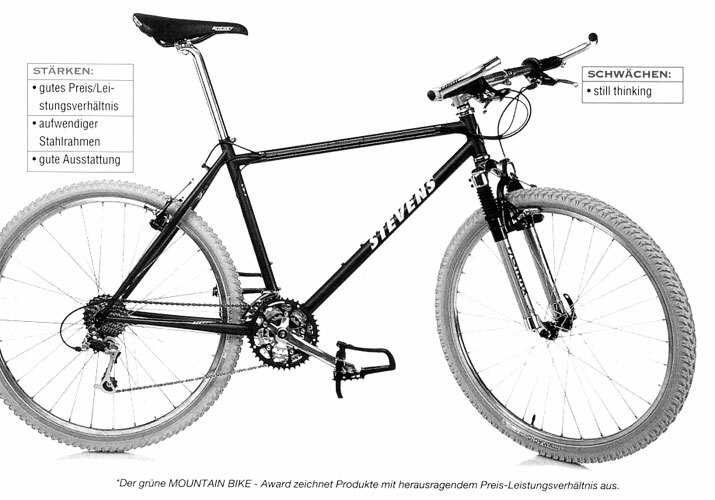 The STEVENS "Xenith" - is rated as the "lightest trekking bike on the world". 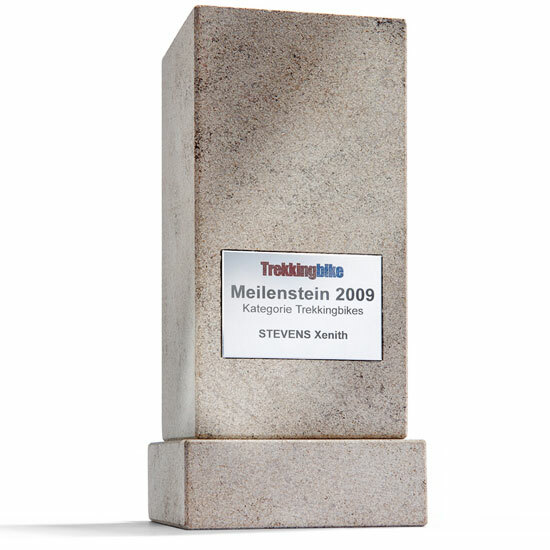 And wins the EUROBIKE´s "milestone of the year" (An award comparable with the "oscar"). And again, STEVENS is the most successful brand at the cyclocross world championships. 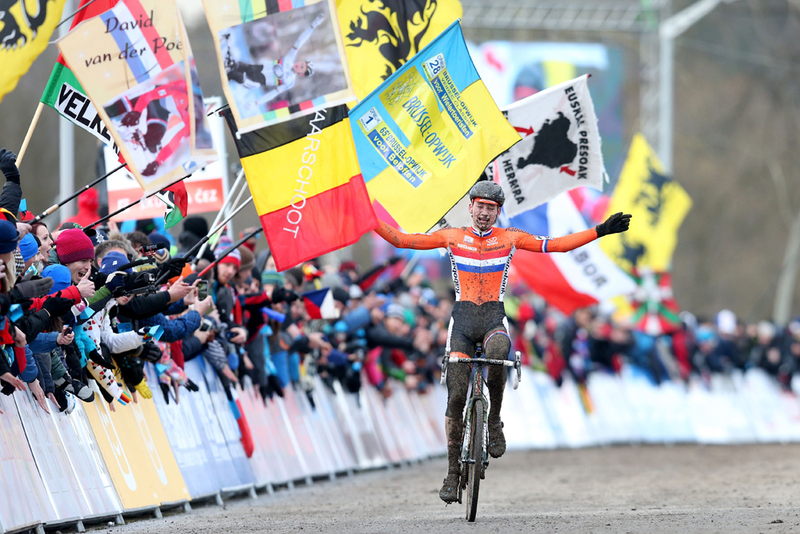 Arnaud Jouffroy and Marianne Vos become world champions. 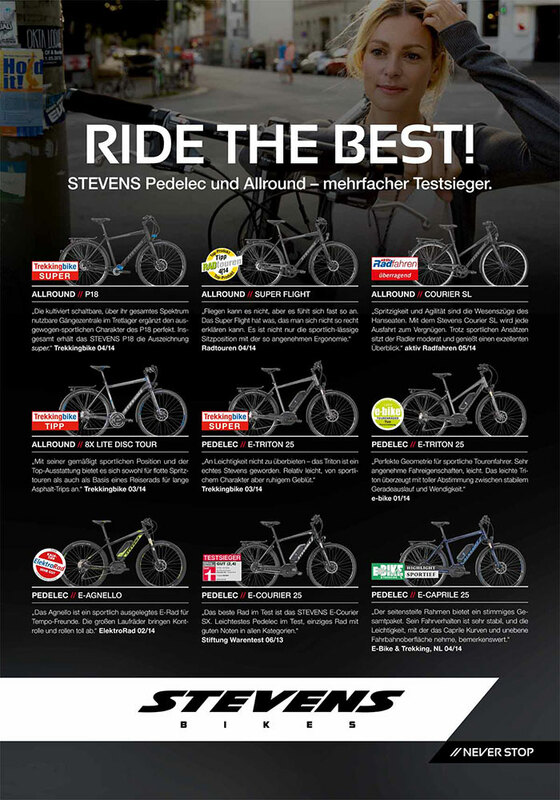 Additionally STEVENS is voted as Germanys "best bike supplier" (SAZ). 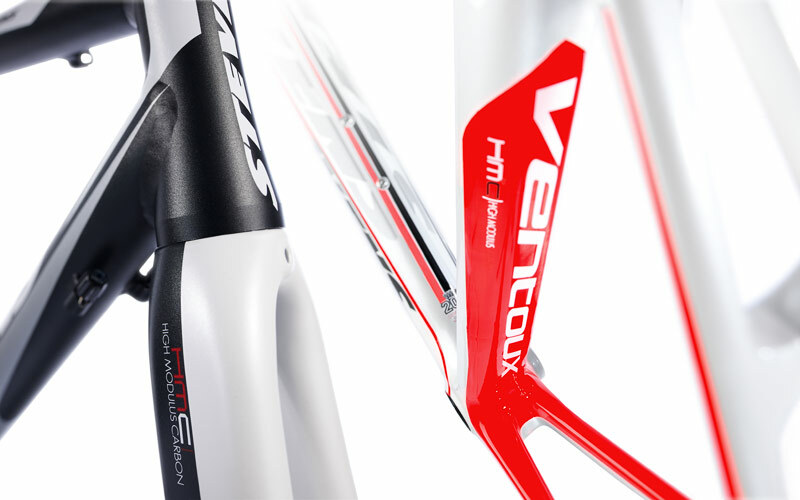 STEVENS gets the IF Eurobike Award for the innovative carbon-roadframe STEVENS Ventoux. 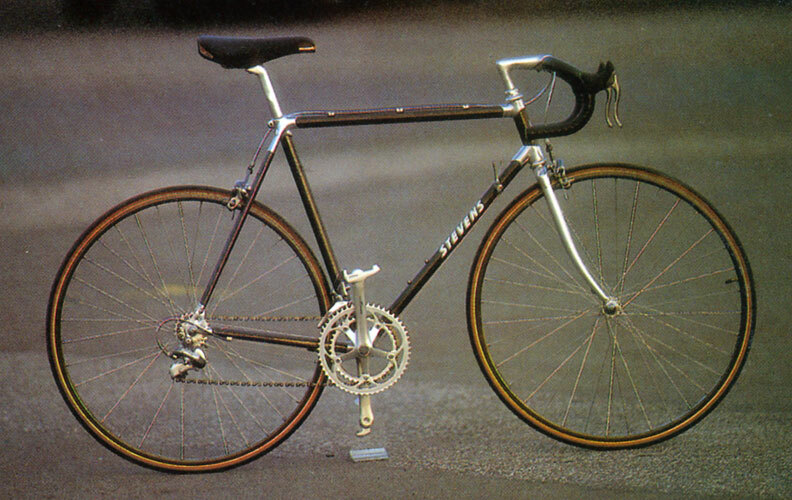 But alloy is also pretty successful: The STEVENS Vuelta wins many tests – as the lightest serially alloy-frame. 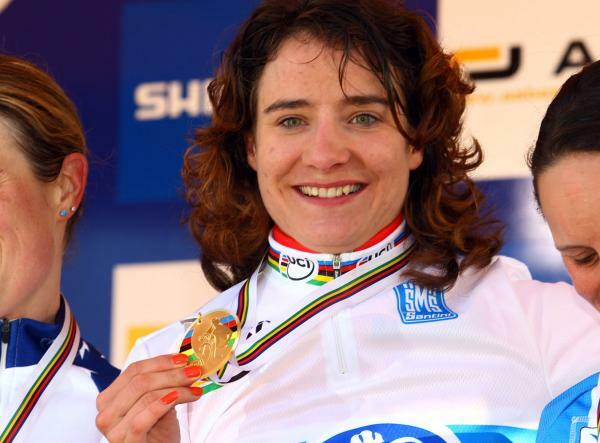 Marianne Vos becomes cyclocross- AND track world champion on STEVENS bikes. 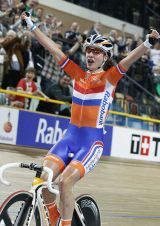 AND she is world cup- leader in Road Racing (may 2011). 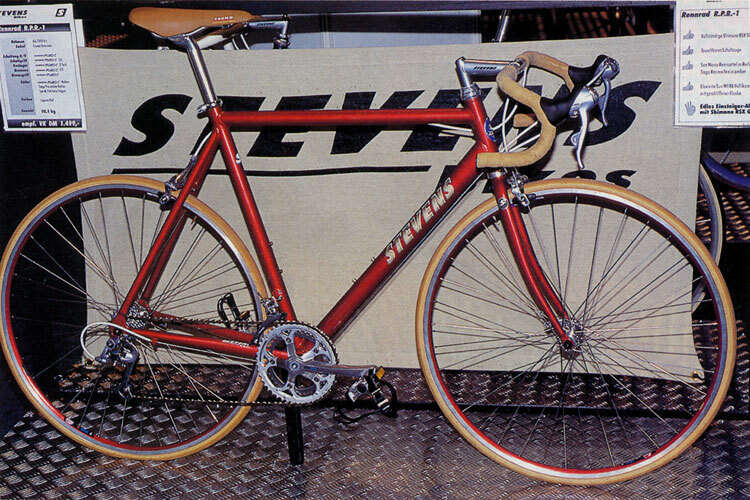 Full power – the STEVENS Pedelecs. There´s no mobility concepts of the future without STEVENS. In this year, STEVENS starts its own Pedelec-Program. 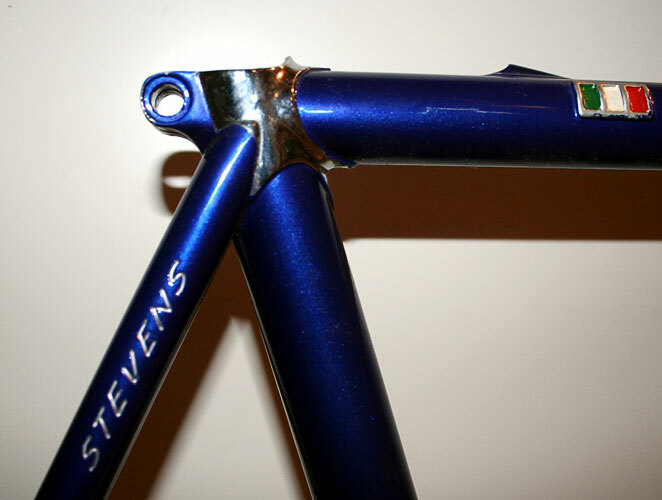 Therefore, a completely new frame-concept is developed: The STEVENS E-Randonneur. It contains maximum stiffness, maxium driving-fun and the lowest centre of gravity. 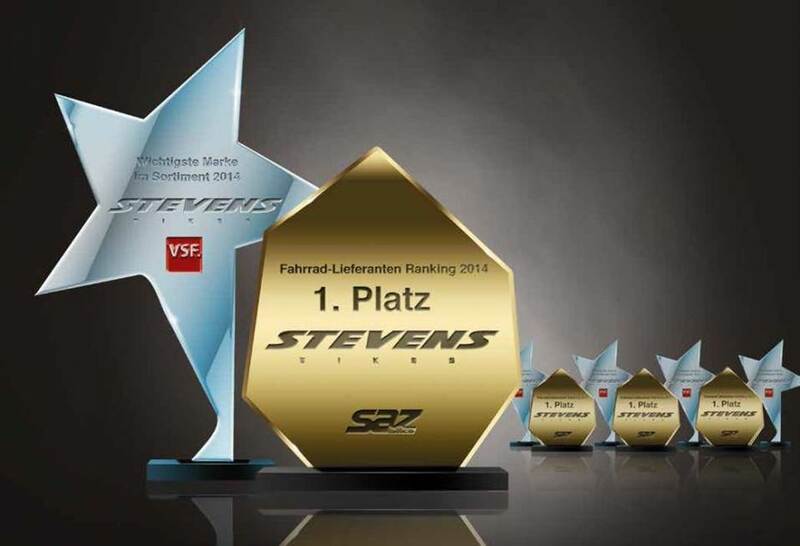 STEVENS is voted as Germanys "best bike supplier" (SAZ). Again. Incredible. Winning an Olympic Gold Medal and racing to World Champion by setting a new world record, this is what STEVENS rider Miriam Welte und her team mate Kristina Vogel are capable of! First it looked like a Silver Medal for our riders at the 2012 Olympic Games in London, because the competing Chinese crossed the finish line first. Eventually, the Chinese were disqualified for an overtake infringement and First Place was awarded to Welte and Vogel. We are super proud for our girls- and their great victory! 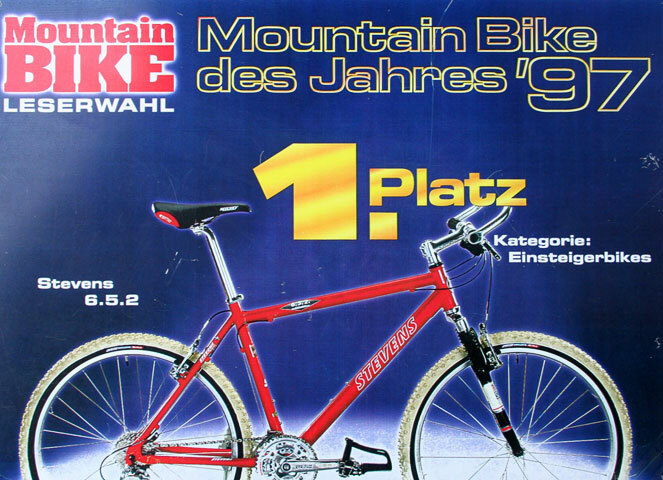 Two First Places from “Trekkingbike“ magazine – We are most popular brand! We could not have wished for a better result from „Trekkingbike“ magazine’s readers. We are the most popular brand to be owned and in the „would-like-to-buy-category. A dream come true! 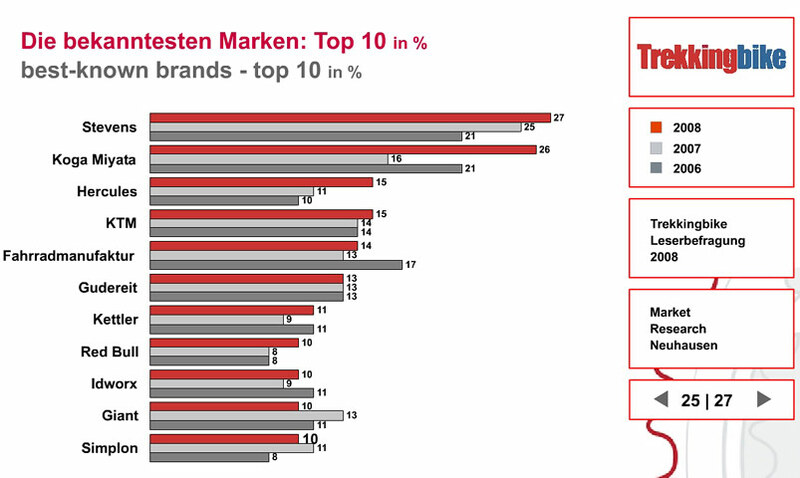 Another #1 ranking: We are most important brand for VSF! 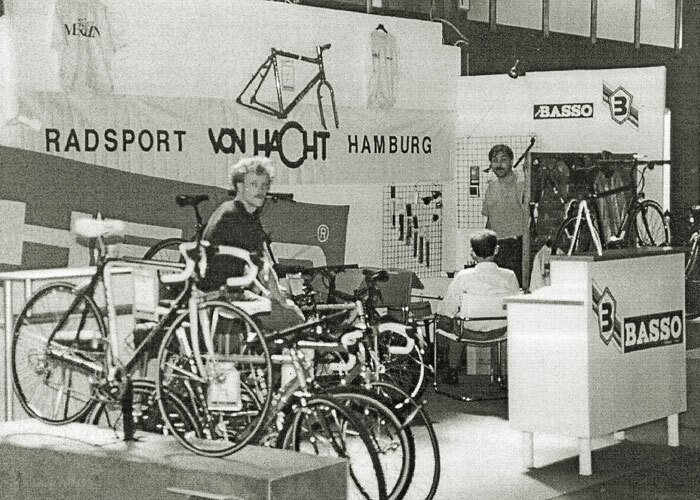 VSF, Germany’s association of Independent Bicycle Dealers, is known for its commitment to political and environmental aspects of transportation as well as its tough ranking procedures. Meaning, if you reach top marks in that ranking you must do something right! : STEVENS, also one of VSF new sustaining members, demonstrated just that. We scored a straight A in the „Importance in Product Range“! We also reached top evaluations in all the other categories which is proof of our professional and high quality work, that pushed us from place 13 to 5 overall. 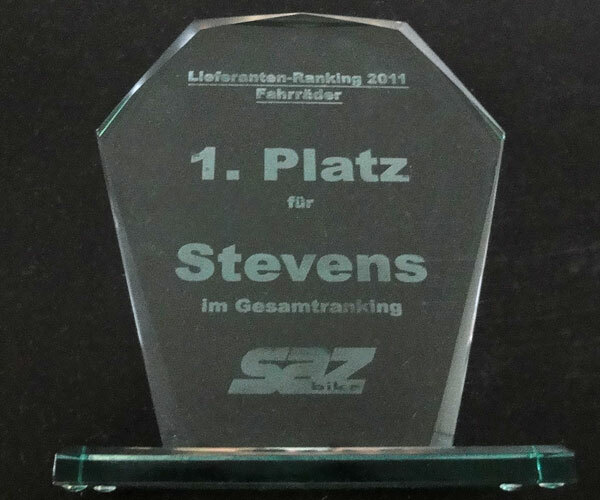 In the most recent readers poll by well renowned SAZ trade magazine Stevens won First Price overall for best supplier in 2013 plus major improvements in all single categories. 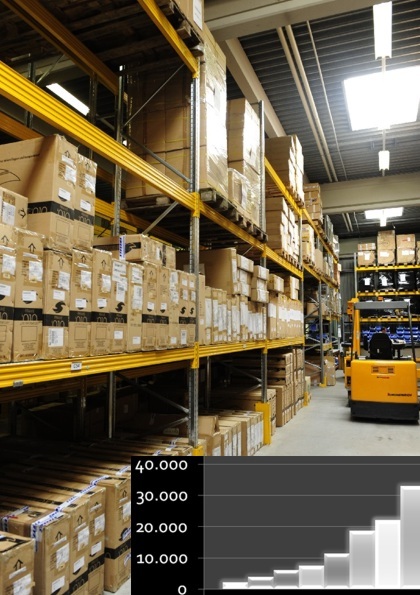 Another proof for our professional cooperation with our dealers and their utter satisfaction with STEVENS. Congratulations, team! We hit Seven Digits – STEVENS builds 1000,000th bike! In May 2013 after 22 years in business STEVENS finally produced its 1000,000th bike. 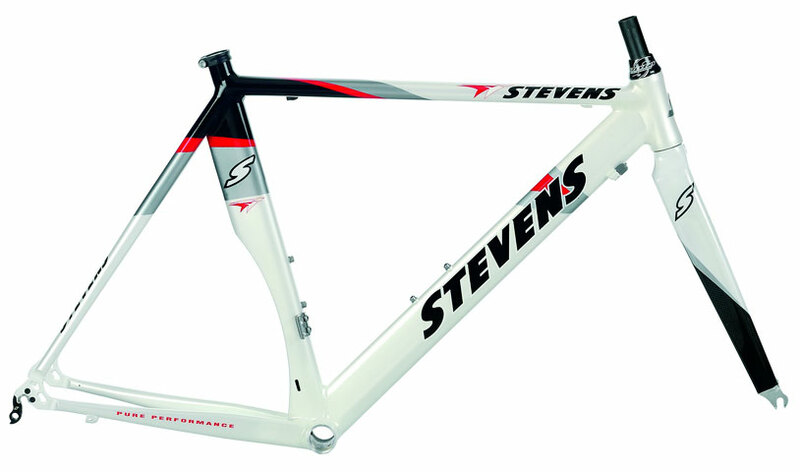 To commemorate this moment, STEVENS reissued a collection of precious steel frames from the time of its foundation. These frames are available in racing, touring and single speed versions. With discreet retro logos and meticulously crafted metal badges on steerer and top tube we will revive the great old times of our company. Do not miss this limited edition! 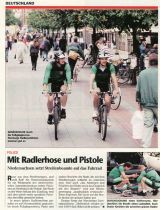 Continued Success With Pedal Assisted Bikes: E-Courier wins top marks from “Stiftung Warentest”! STEVENS‘ E-Courier fended off other pedal assisted bikes from 16 competitors in the hardest lab- and field test ever conducted by Stiftung Warentest (Germany’s largest consumer safety organization) and ADAC (Germany’s largest automobile and traffic safety association). The great performance of our crown of modern bike design was achieved with the great work of our engineers. 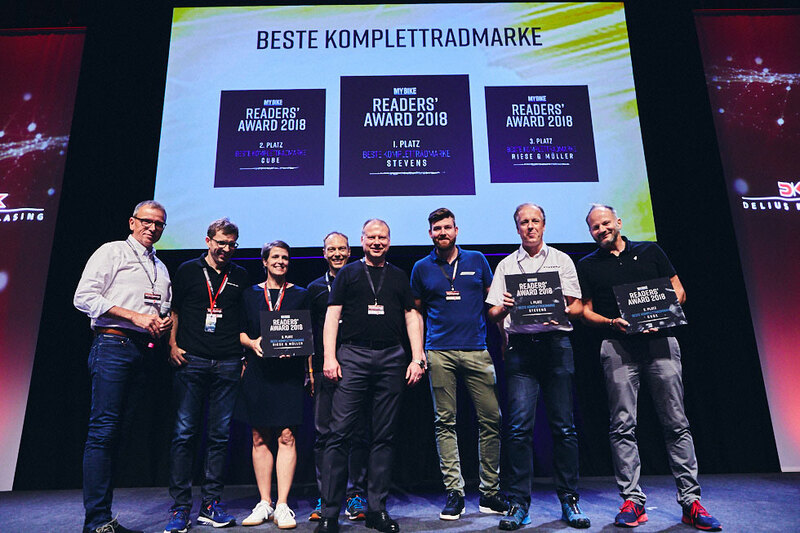 Not only our pedal assisted bikes performed great, also our citycross bike Strada 800 and our trekking bike Jazz won their respective categories making Stevens triple winner with Stiftung Warentest- a prestigious award for our bikes’ high quality! 2014 has been the year with the highest turnover since the company’s foundation. The reasons for this might be the mostly nice weather all year round and an increased awareness for bikes as a means of transportation. But, of course, it was also our range of utility and race bikes, MTBs and pedal electric bikes that scored many top marks in several tests. And surely also our dealers who know how to convince customers of our light, sporty and good-value bikes. 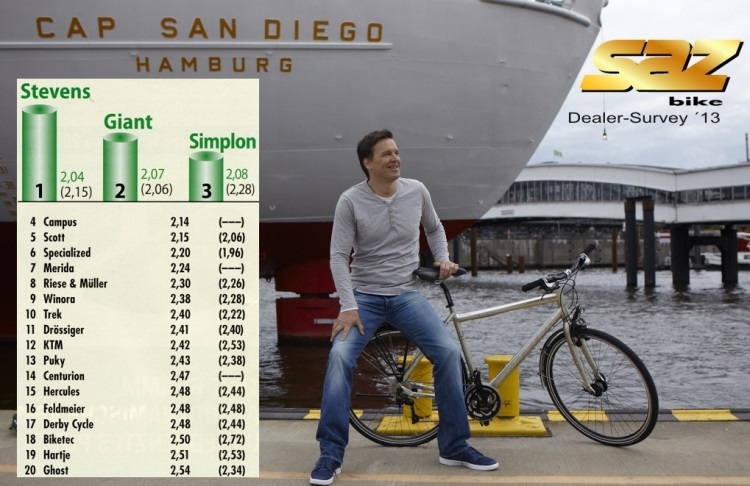 For the fourth time within five years Germany’s IBDs voted us to first place in the Annual Bike Supplier Ranking. We especially did well in the categories sales margin, attractiveness of the brand and back office support. 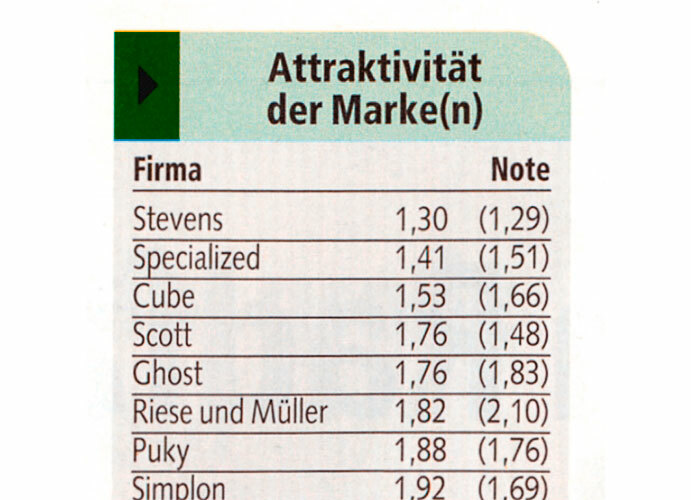 Our work was also acknowledged by the VSF dealer ranking. For the fifth time in a row we were voted Most Important Brand in the range. Only as recently as 2011 we started building pedal electric bikes – now, only three years later, they make up 10 % of our total production – expressed in actual number: about 10.000 units. 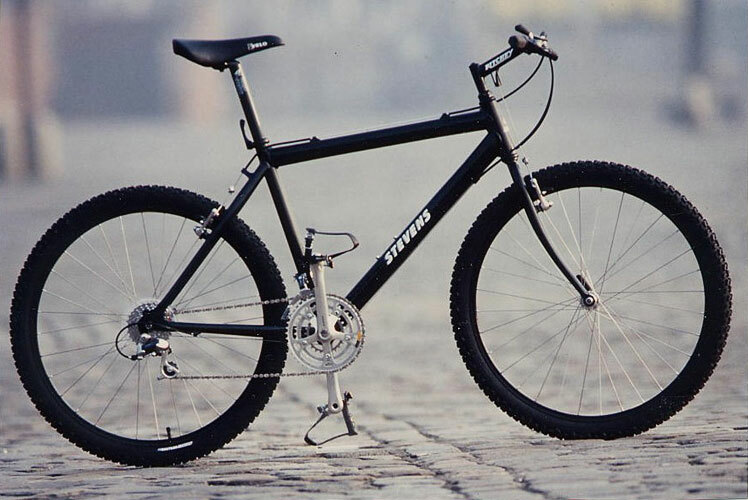 STEVENS now has been in existence for 25 years and is in a better shape than ever: STEVENS Bikes won several first places or value-for-money tips in tests by magazines as well as on roads and trails in sports competitions. With a staff of over 60 people in the Hamburg headquarters and personnel in the assembly plants, STEVENS is now responsible for the income of more than a hundred employees. 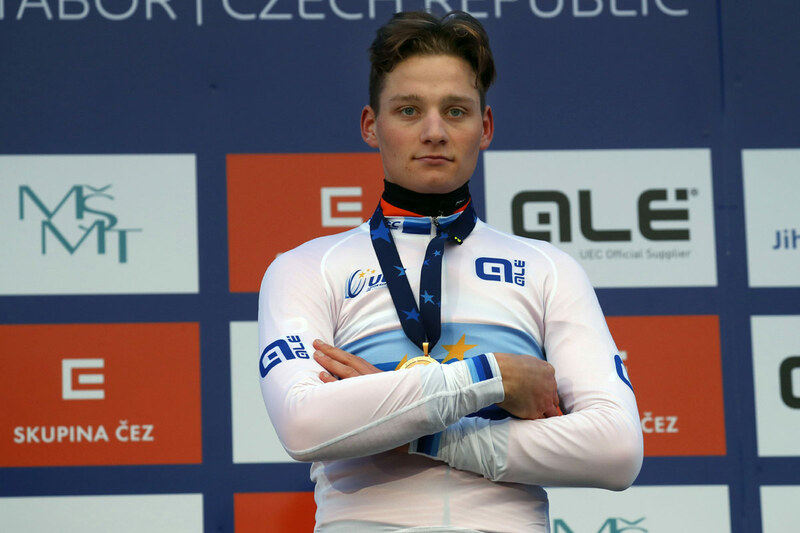 Mathieu van der Poel, BKCP-Corendon, becomes the youngest Elite Cyclocross World Champion of all times aboard his STEVENS Super Prestige Disc on February 1st in Tábor, Czech Republic. 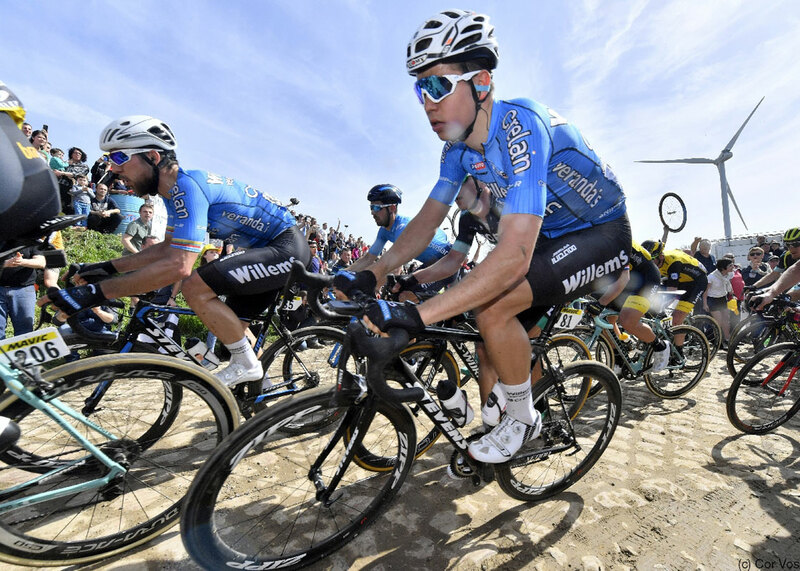 Only two weeks prior the son of former ’cross world champion and Tour of Flanders winner Adrie van der Poel and grandson of Raymond Poulidor had celebrated his 20th birthday. For the fifth time in a row STEVENS is awarded the top spot as TrekkingBIKE magazine’s readers’ favourite in terms of ownership and planned purchase. 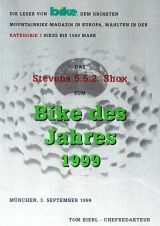 Also dealers like STEVENS Bikes very much: For the dealers organized in the Verbund Service and Fahrrad VSF e.V. 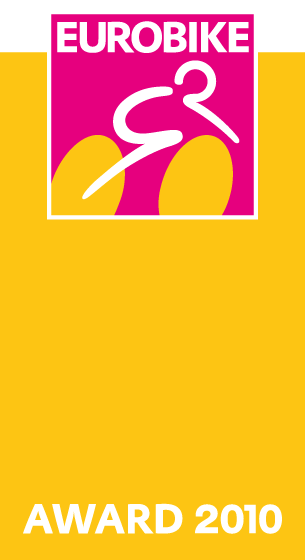 (Network Service and Bike, registered non-profit organization) STEVENS Bikes is their most important brand in their range for the sixth year in a row. 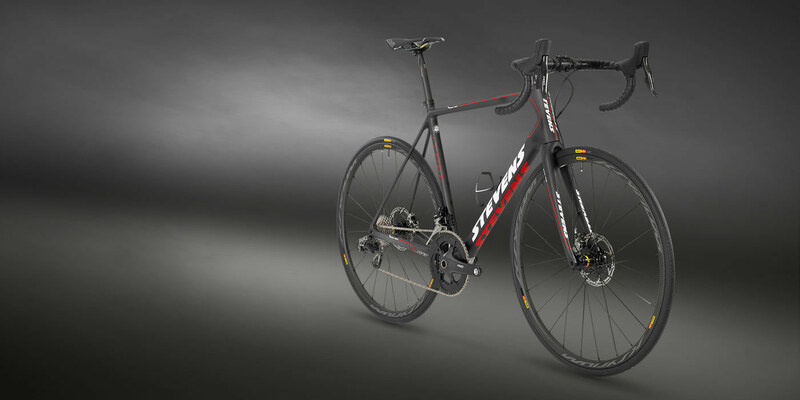 As two of nine bikes overall, VSF also awarded the STEVENS P18 and the Super Flight with its ”all ride” seal of quality. 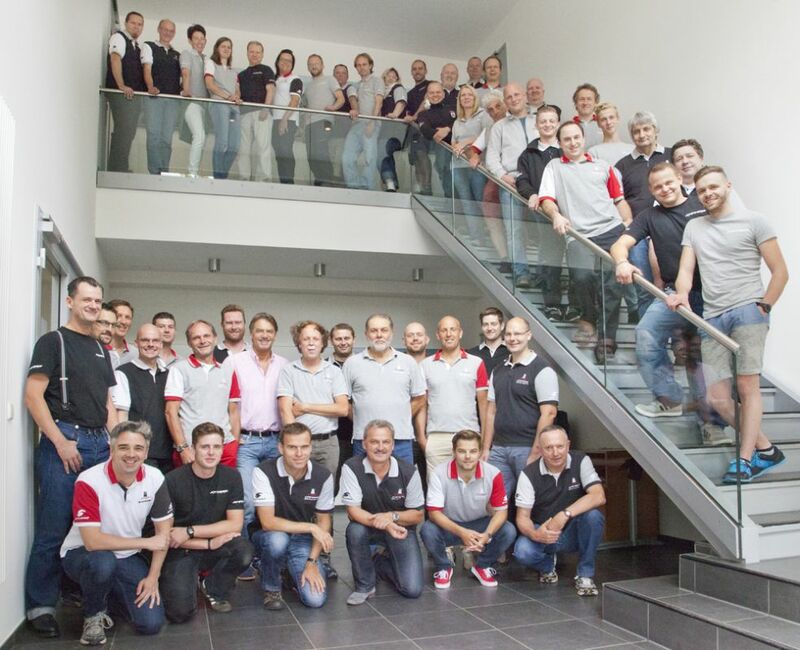 July 31st marked the end of an era at Stevens Vertriebs GmbH. 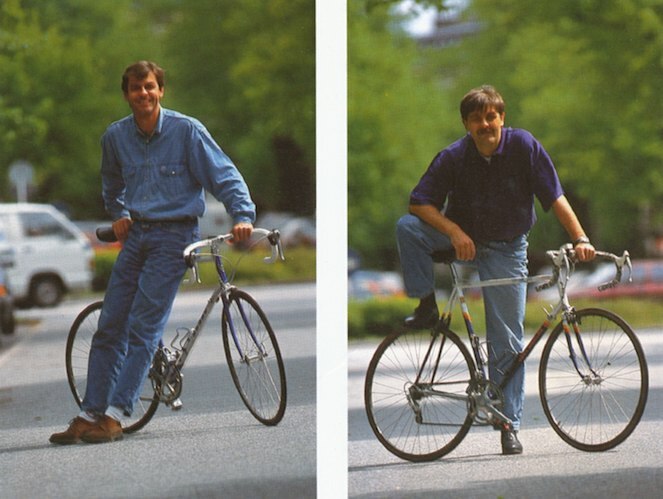 For more than 25 years Werner and Wolfgang von Hacht have been working side by side and together with a strong team to make STEVENS Bikes one of the most successful bicycle brands in Germany. After having turned 65 years old Werner von Hacht now left the company to retire as CEO. 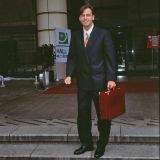 As founder and proprietor he will still be close to the company. 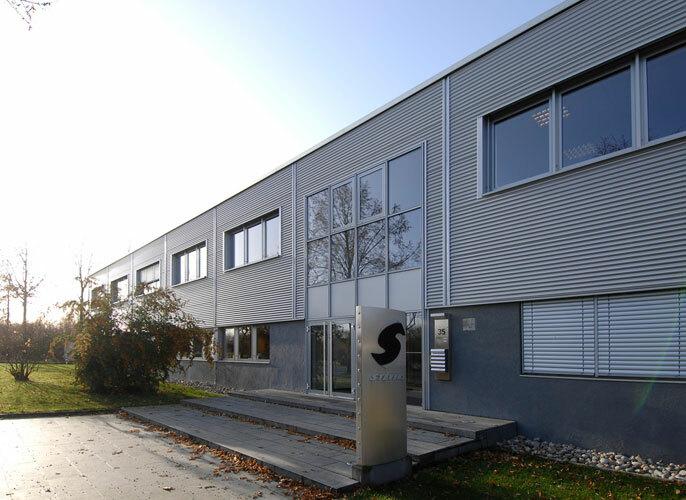 Fred Schierenbeck will be the new CEO next to Wolfgang von Hacht. 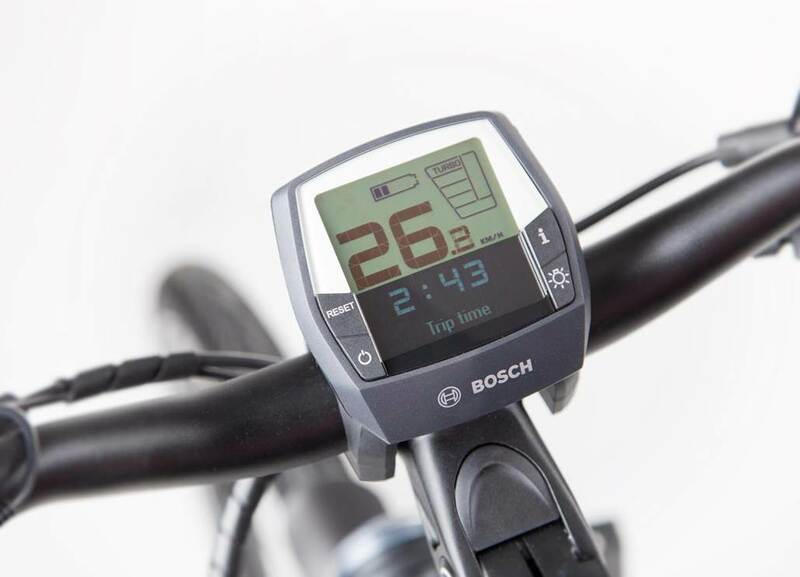 Schierenbeck is a true sales professional with lots of experience from working with many well-known and respected brands in the bicycle industry. 2016: Bronze, Bronze, Silver and Gold: What A Mountainbike Year! The new STEVENS MTB Racing Team and its all new roster have won a complete set of medals at the German Cross Country Championships in their very first year. Leonie and Antonia Daubermann as well as Christian Pfäffle rode their STEVENS Sonora SL race bikes to Gold, Silver and Bronze, respectively. Veronika Brüchle added another Bronze in the German Enduro Championship. These achievements were complimented by several other respectable results. Like Christian Pfäffle’s 15th place in the XC which made him best German rider – and unofficially the rider with the best ”passer rating” - after having started the race from position 100. We added a new building to our headquarters for more space: Our technical customer service, the in-house test lab and all assembly stations are now gathered under one roof in the new wing of our company headquarters. Above the technical section, there’s the new show room on the first floor, presented for the first time to host the in-house fair in September. On the top floor there’s a new large conference and meeting room. All in all, the new wing that’s been attached to the existing headquarters offers 1,100 square meters (12,000 square feet) of office space over three stories – enough space for further growth. She finally made it! In January 2017 Sanne Cant finally wins the Cyclocross World Championships in Bieles, Luxemburg. 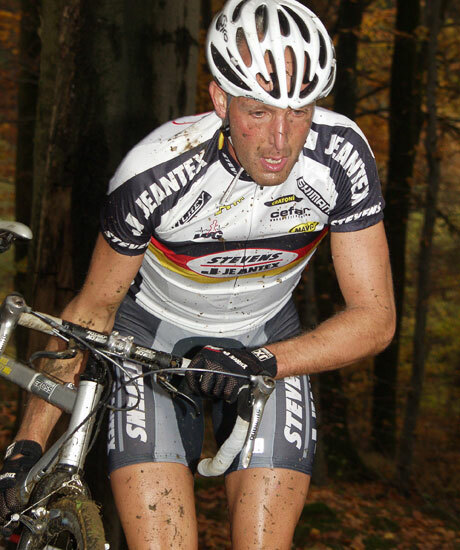 The talented cyclocross racer already was a serial winner of the Belgian National Championships, had been European Champion several times and also won the World Cup overall. Yet, in the worlds she had always suffered bad luck. Now she rode her STEVENS Super Prestige to the finish line and prevailed in a thrilling finale over the great Marianne Vos. Congratulations! In addition in November she becomes European Champion again, owning all three major jerseys at least until January 2018. Mathieu van der Poel not only rides well in the mud. 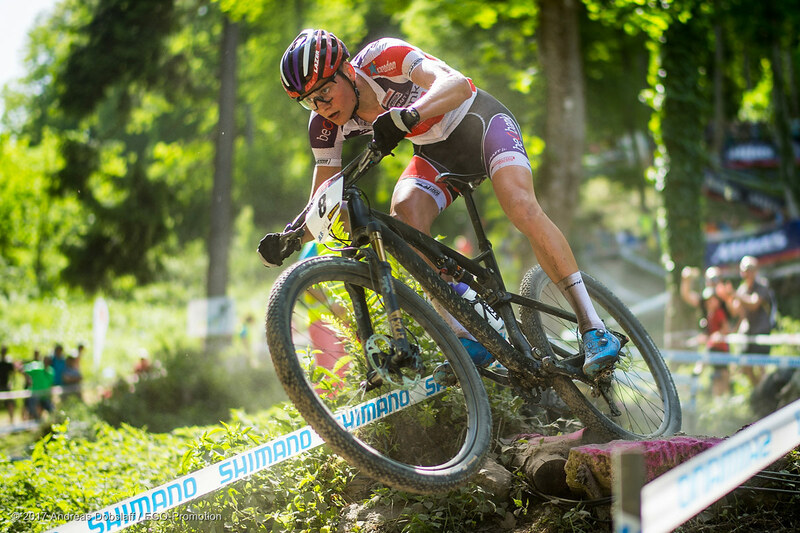 Even on rough terrain and fresh pavement the current Cyclocross European Champion did very well, especially in May. He began at the cross country MTB world cup race in Nove Mesto where he started from place 90 to lap by lap advance to place eight. 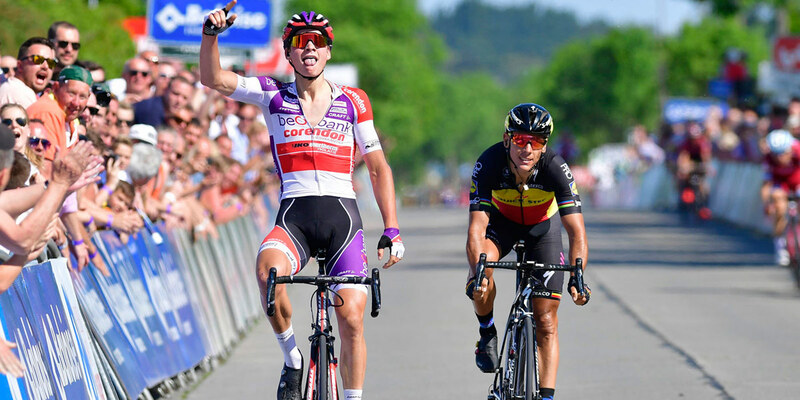 The following week he joined his team Beobank-Corendon in the Tour of Belgium (UCI 2.HC) where he won the second stage by outsprinting Philippe Gilbert. 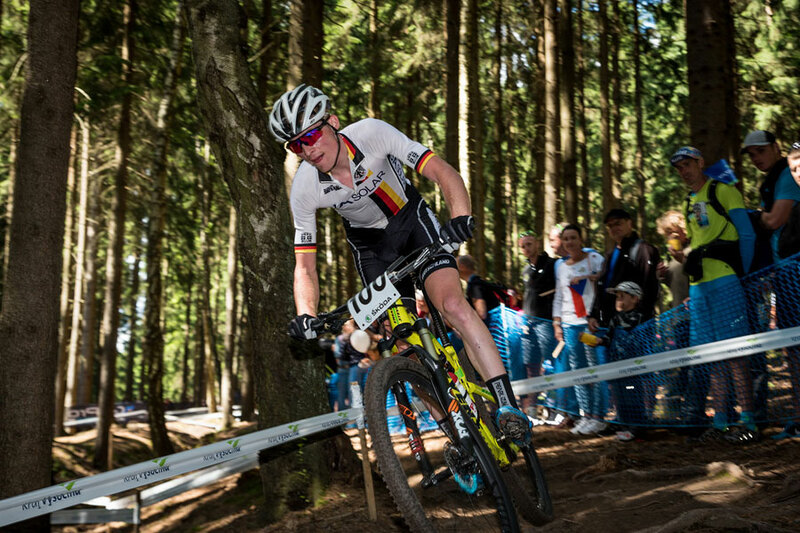 The weekend after he started from the first grid at the Albstadt MTB world cup. 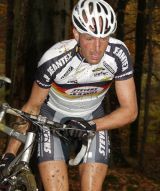 Mathieu rode in front over four of eight laps and eventually was only defeated by World and Olympic Champion Nino Schurter. 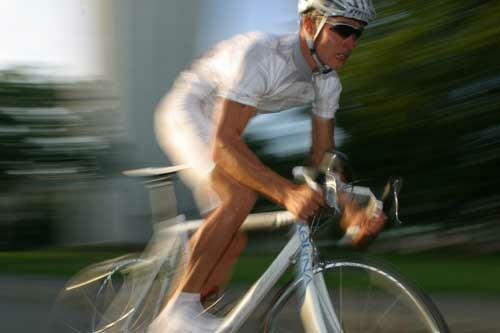 Only a few talents are as successful in three different cycling disciplines. 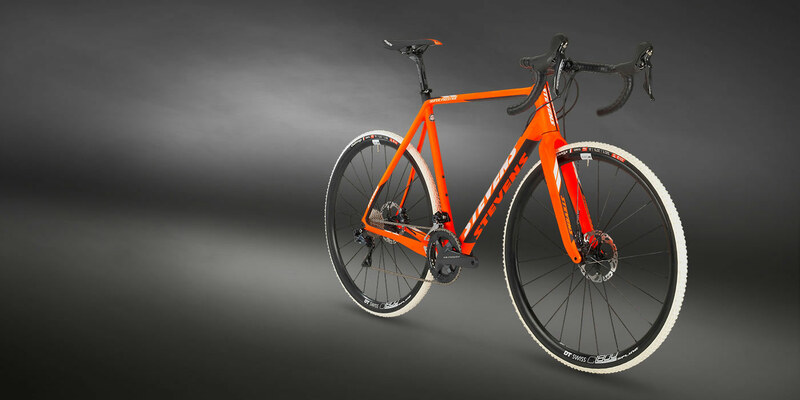 For model year 2018 which traditionally begins late August/early September we presented our new top-of-the-line models for road and cyclocross. The brand new Comet Disc shortly after its presentation passed its first hard test with best grades and lots of praise from the press for its light weight and high comfort, according to RoadBIKE it was a “straight-forward sportster without airs and graces”. The completely re-designed and weight-reduced Super Prestige Disc stood out in a test by TOUR magazine with its “well-appreciated qualities”, best handling on tight courses and throughout well-chosen specs. 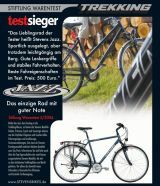 Readers of TrekkingBIKE magazine voted STEVENS Bikes as the most popular brand in terms of ownership and intend to buy – again. The readers’ poll confirmed Stevens’ leadership for the sixth time in a row. 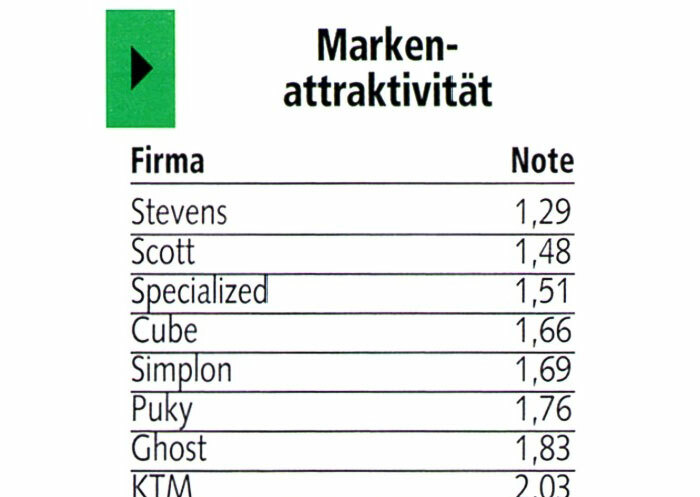 In a ranking made by the readers of TOUR magazine STEVENS race bikes established themselves firmly in the top ten with a fourth place among retail-store brands. In 2018 we, for the first time, extended our in-house exhibition to eight days. From August 11th to 18th we welcomed over 1,000 guests – and introduced our almost 200 new 2019 models to dealers, journalists and partners. Some benefits of the visit to Hamburg were a longer duration of the show and an extended supporting programme including a collective boat trip on the river Elbe and the Hamburg harbour. On the first day we also introduced our business partners and suppliers and their range: Shimano, Bosch, Tubus/Racktime, DT Swiss, Busch+Müller, Fulcrum, SR Suntour and Schwalbe. End of January 2018 STEVENS Bikes was handed the Retail Store Champion Award by the dealers of the BIKE&CO dealership co-op. 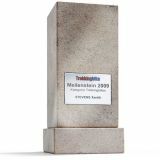 We won this award against a competition of 35 bike suppliers. As part of its 25-year anniversary the dealer co-op for the first handed out awards to its best suppliers. The 700 associated dealers were invited to evaluate aspects like brand and product appeal, service, marketing, sales support and innovation. 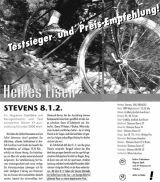 STEVENS was given the “My Bike Reader’s Award“ by My Bike magazine (successor to Trekking Bike and E-Bike magazines) as the best full-range bicycle brand. In summer, the readers of magazines My Bike, TOUR, BIKE (published by Delius Klasing) were asked to cast their vote. 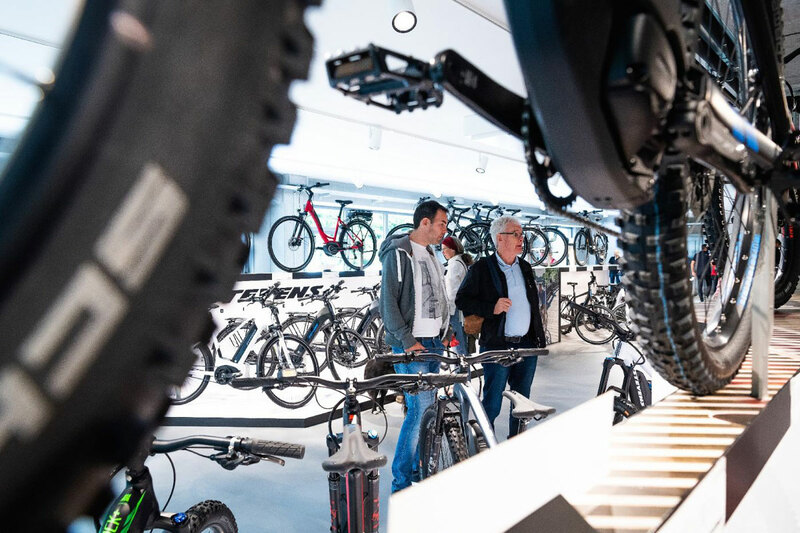 They could choose between more than 100 brands of all-round bikes – the largest competition among all categories of bikes and related magazines. 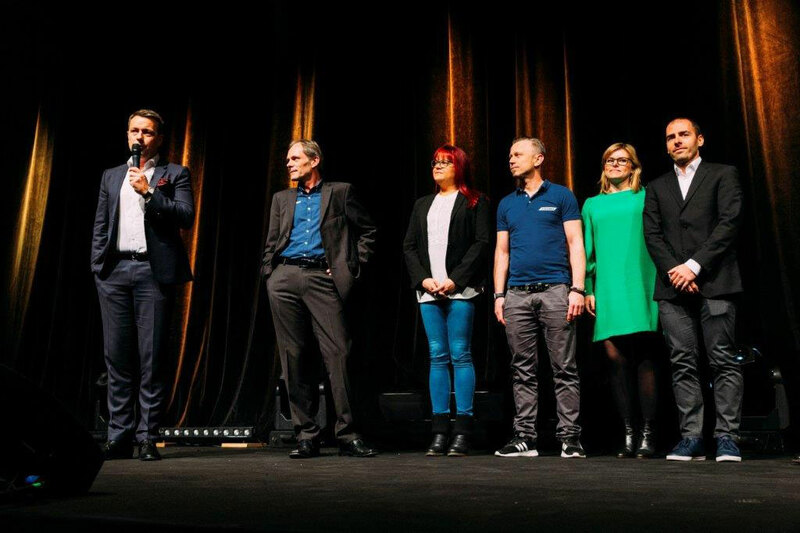 The awards were handed out at Eurobike at publisher Delius Klasing’s industry meeting. 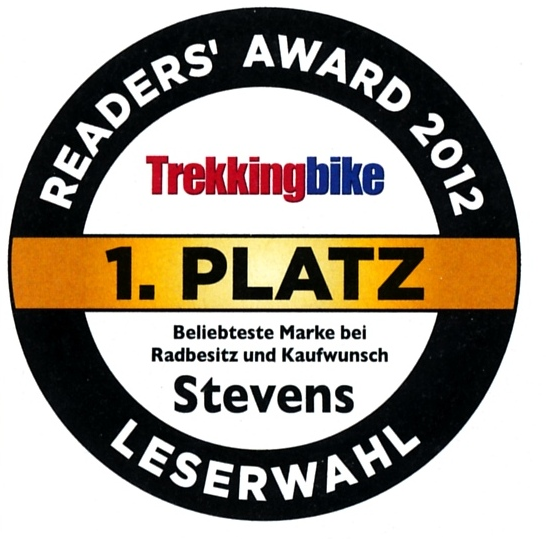 My Bike’s readers voted STEVENS Bikes in first place in the categories “plan to buy” and “ownership” for the eighth time in a row (including predecessor Trekking Bike). 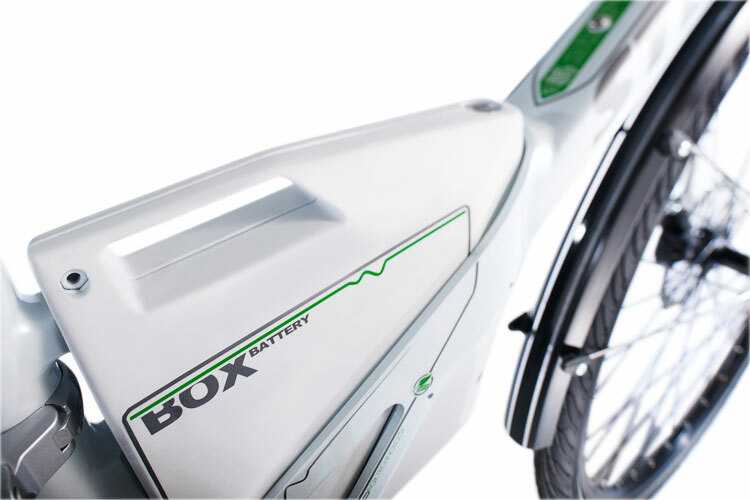 For model year 2018 STEVENS’ engineers developed PowerTube pedelecs PowerTube Pedelecs – e-bikes with their Bosch battery nicely and conveniently integrated into the downtube. Not only the downtube design is new, but the whole frame was “designed and engineered” by our colleagues in the R&D department in Hamburg. The pedelecs with the “PT5” suffix received great appreciation from dealers as well as from the press. 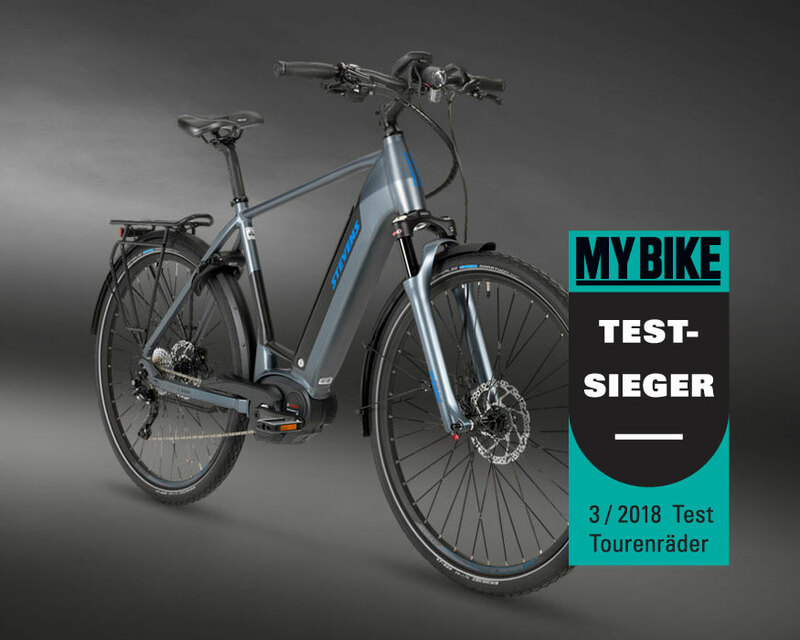 PT5 models won two out of four tests (My Bike, RADtouren), were given a “recommendation” (aktiv Radfahren) or finished top-of-the crop in the test field (ElektroBIKE). In addition to the design the testers praised the handling and the laterally stiff frames. 2018 STEVENS road bikes were not only present in many spring classics but also successful. 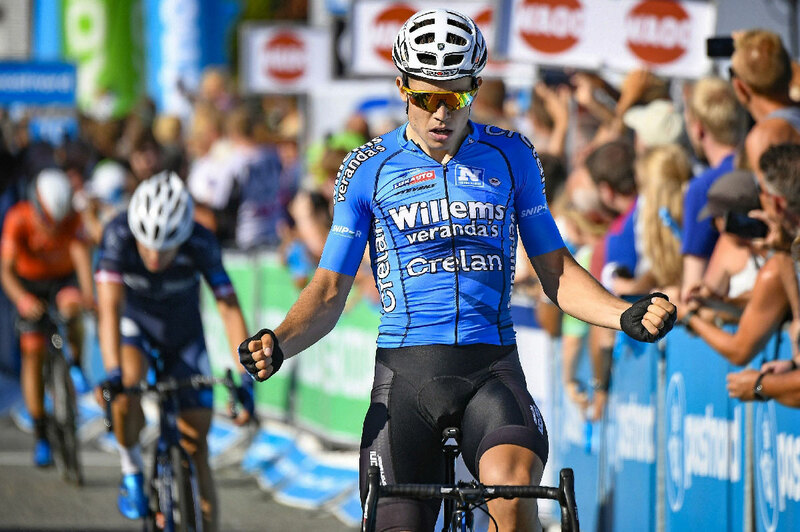 This was mostly due to Continental Team Vérandas Willems-Crelan and its captain Wout van Aert. The Cyclocross World Champion lived up to his ambitions to establish himself in road cycling and especially to be successful in World Tour spring classics (UCI 1.UWT) riding his STEVENS Xenon. At first it was at the Strade Bianche, a single-day race in Italy featuring many gravel sections, where created a lot of buzz and gained appreciation by finishing third. 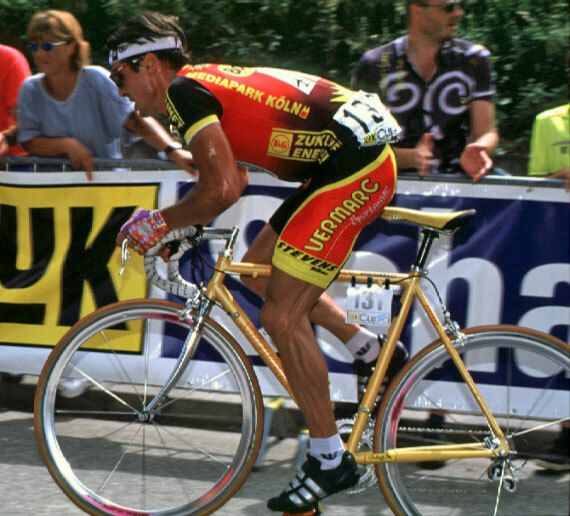 This result was followed by a tenth place at Gent-Wevelgem, rank nine at the Tour of Flanders and a 13th place (same time as seventh) finish at Paris-Roubaix. 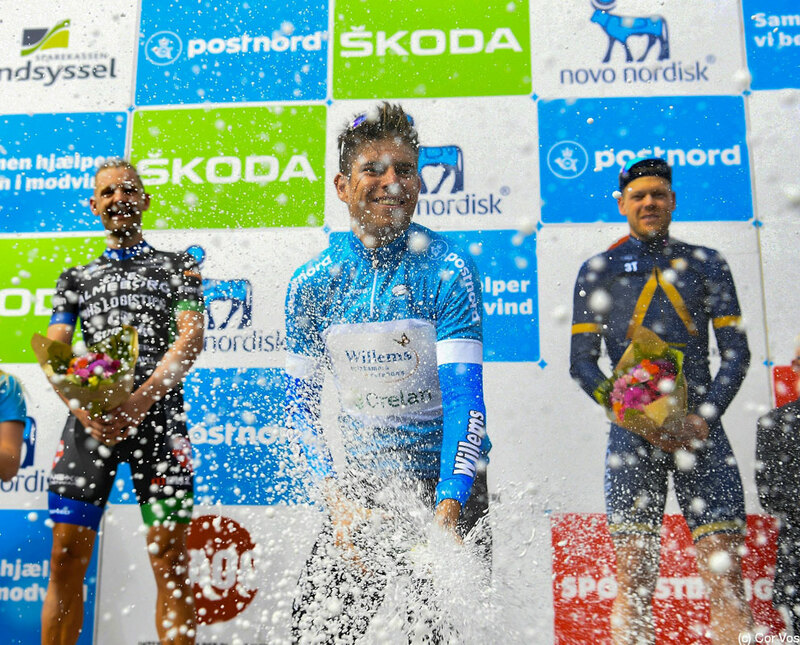 After a longer pause he continued and went to win the Tour of Denmark (UCI 2.HC) overall including two stage wins thanks also to a strong effort by his team. Another impressive feat was winning the Bronze medal in the European Road Championship in Glasgow to conclude the season. The exceptional Belgian talent already has been riding successfully for years – In the 2018 season she celebrated her 100th win. Also in 2018 everything just worked out: Sanne Cant won her tenth Belgian Championship, became European Championship and successfully defended her world champion title in superior fashion. 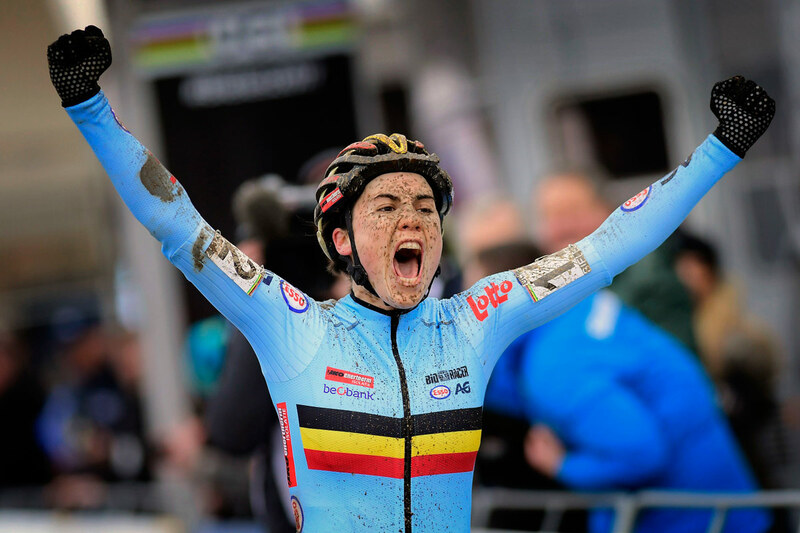 To sum it up, Sanne Cant went to wear all Jerseys that were there to win – riding her STEVENS Super Prestige she won the Belgian national series, the World Cup overall and the worlds’ Rainbow Jersey. 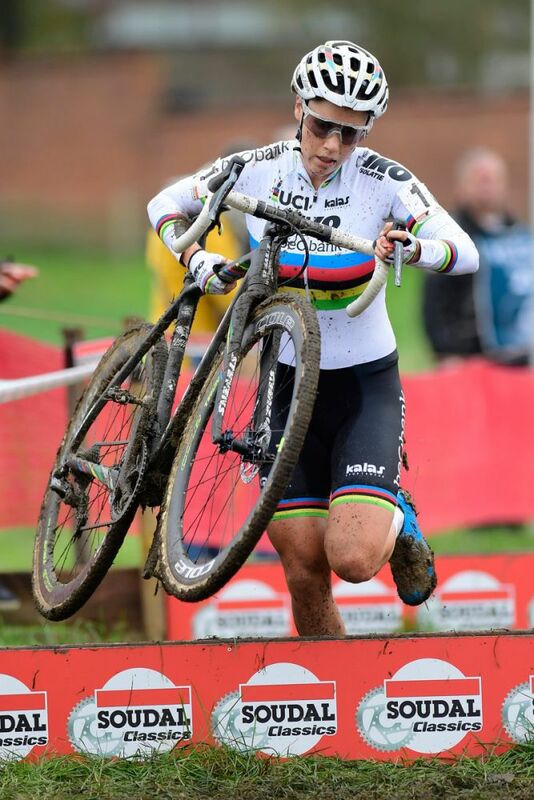 We are glad to have Sanne Cant continuing to ride STEVENS Super Prestige in the future!